I'm so excited about my new website! 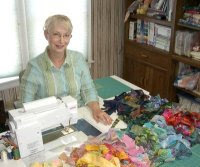 My friend Ruth has worked very hard to make it beautiful, friendly, and functional! Take a look around and see what you think. I'd love to hear your thoughts about it. Here in Kansas today, we're getting excited about the possibility of our first real snow this season. Even though it is officially Spring, we've had very little measurable precipitation since the first week of December. The school has had no snow days, the KDOT salt sheds are full, and we are ready to see some real white stuff later this evening. My husband, the teacher, is looking forward to a snow day, and I'm looking forward to being snowed in so that I can actually get upstairs to my sewing studio instead of having to work outside in the yard. What project(s) am I working on, besides this blog? I will be teaching a new project class this Saturday here in Dodge City. "Plaid Poppies" is a quilt from my new book Innovations and Renovations: String Quilts that is scheduled for release this coming fall. Take a look at the photo of Plaid Poppies and its sister Dad's Plaids on the bed. The critter on the quilt is our new kitten Sally. 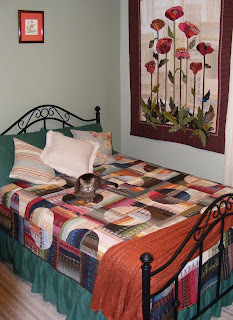 Cats and quilts kind of go together, don't they? I just got two of my Berninas back from their annual servicing, so I think I'm going to get one of them busy adding embroidery to a pair of Ruth's jeans, while I stitch away at another quilt top that has been a UFO (UnFinished Object) for years. I'm trying to reduce the number of guilt-producing projects sitting on my shelves this year. Notice I said "guilt", not "quilt". By reducing my "guilt", I hope to increase my "quilts". I LOVE that poppies quilt.... I will be looking for the book! Thanks, Kathryn. It was a really fun one to make. When the book is released, there will certainly be a big announcement on my website! I too love your poppies quilt and the purple posies. I want to make them right now!!! I cannot wait for your book to come out. The purple posies quilt will be in the new book too? Ewww, fall 09 is a long time off!!! On making your blog fun to read, I like tips and techniques, little videos, and day in the life kinds of anecdotes. Let us get to know you... that kind of thing. Little projects to master your signature techniques would be fun too. The conflict for you will be balancing what you 'give away' on the blog vs. what you sell in your shop and your books. 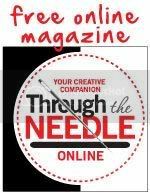 Lots of blog authors are able to strike the right balance. I hope you can too. I will be checking back frequently. 10. Reduce bulk where lots of seams cross, like the centers of stars, by pressing seams open. Bulk results from many layers of fabric laying on top of one another in one place. When fabric folds back on itself, even more bulk is created, so releasing some of the stitches in the center seam allowance will allow the fabric to unfold to make a flatter center. I am not sure I understand this tip, do you rip out a few stitches? When you starch and iron, does that take the place of shrinking the fabric?